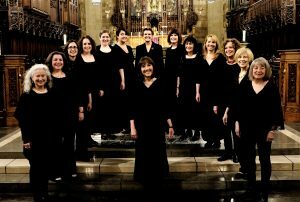 Hailed for its “perfect blend and beautiful, transcendent sound,” Angelica is a Westchester-based women’s choral ensemble under the direction of Marie Caruso. Founded in 1996, the group sings a wide range of sacred and secular music from the 1st to the 21st centuries including chant, Sephardic, Balkan, American folk, and jazz. “Vox Feminarum” (Voice of Women) is a program of sacred and secular works written by women composers dating from the 13th to the 21st century, including the premiere of a work by 18th-century composer Maria Rosa Coccia; a chant by 12th-century nun, Hildegard von Bingen; works by 17th-century composers Francesca Caccini, Claudia Francesca Rusca, and Barbara Strozzi; as well as contemporary works by Abbie Betinis and Eleanor Daley. Joining Angelica is guest artist Richard Kolb on lute and theorbo. Angelica performs year-round throughout Manhattan and Westchester and tours internationally. Recently, Angelica participated in the Verona Garda Estate Choral Festival (2014), the Sardinia Festival (2016), the International Sacred Choir Festival in Lithuania (2018) and in ChoralFest USA (2015). Angelica is a member of the New York Choral Consortium and a sustaining member of the Vocal Area Network. Music at Asbury was launched in November of 2014. As a program of Asbury-Crestwood United Methodist Church, Music at Asbury is designed to serve as a social service to the community, offering free performances by some of New York City and the Hudson Valley’s finest musical artists. Asbury-Crestwood United Methodist Church has a long history of outstanding music programs and a record of community service. Asbury Church and its music directors have presented choral and organ concerts to the public over many years and the Asbury Summer Theatre group operated for 32 years, presenting over 30 sold-out shows to thousands of delighted audience members. In the fall of 2014, we introduced a new three-concert series, Music at Asbury. As a program under the auspices of Asbury-Crestwood United Methodist Church, Music at Asbury has been designed to serve as a social service to the community, offering free admission to the general public for all of its concerts and reaching out to local agencies and facilities that serve the elderly, young people, Veterans, and lower income families and adults. Music at Asbury is proud to feature a wide variety of engaging, appealing, and top quality performances to entertain and educate our audiences. The series is made possible by contributions from audience members and the Asbury church community, by the local business and civic community through program advertising, and through the support of Arts Westchester’s Arts Alive grant program. « Music at Asbury presents "Broadway in Three-Quarter Time"
This entry was posted in Press Releases and tagged CHORAL MUSIC, free concert, music. Bookmark the permalink.